Finding the perfect gift for the man in your life can be difficult, whether it be your Dad, husband, boyfriend, friend, or brother. If you lean towards natural herbal or homemade DIY items, I have a great list here for you! 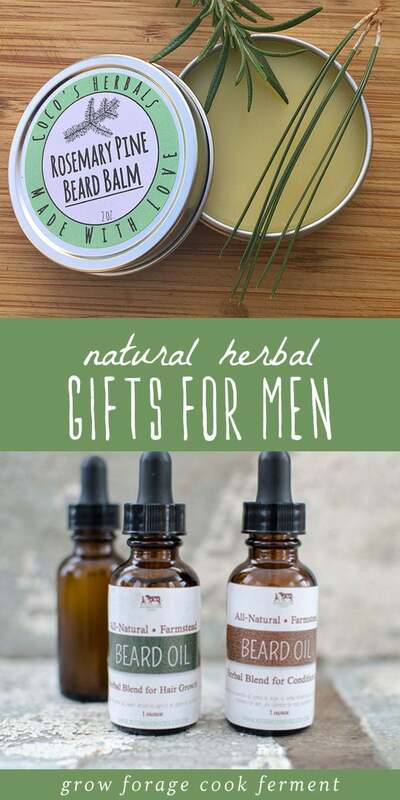 These herbal gifts for men are perfect, and many of them you can make yourself. Or, if you don’t have the time or energy to make them, you can buy them from some great small handmade herbal shops on Etsy that I think are awesome! 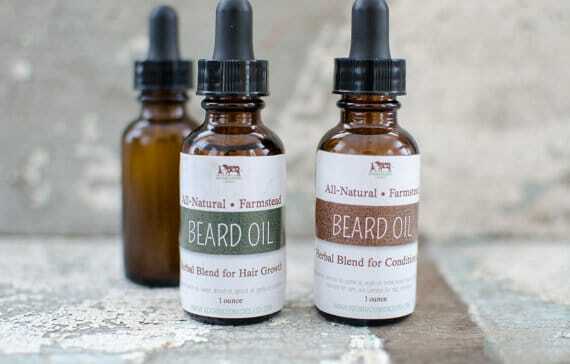 Beards are hot right now, and with that comes some great herbal beard care products. Make some Homemade Rosemary Beard Oil to keep his beard nice and promote healthy growth, or try this beard oil recipe with several different scent variations. Beard balm is another product that can easily be made at home. 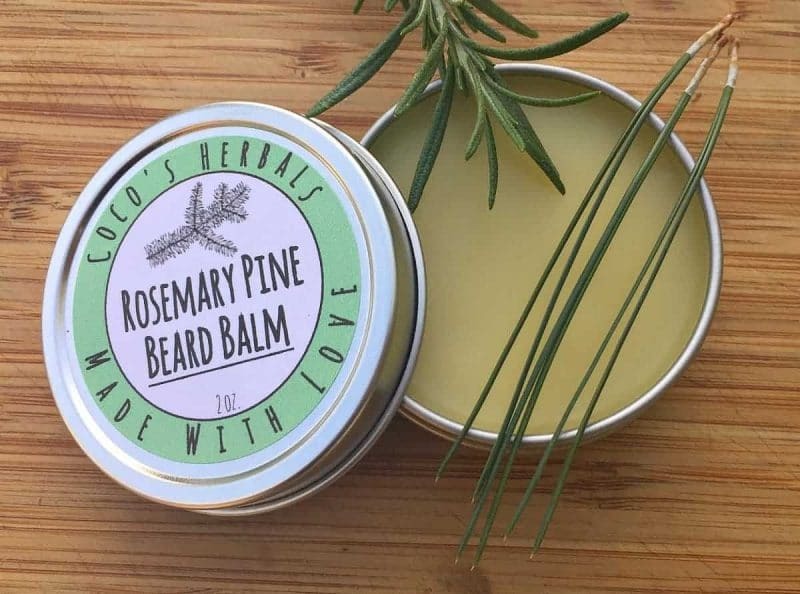 I have a popular recipes for Rosemary Pine Beard Balm and Juniper Spice Beard Balm that work really well and smell amazing! There is also this Bayberry Hemp Beard Balm from Joybilee Farm that sounds awesome. There is even such a thing as mustache wax! Here is a DIY Mustache Wax recipe for those men who like to style their ‘stache! Maybe the man in your life doesn’t have a beard. In that case, there are plenty of herbal shaving products that are much nicer on the skin than store bought stuff. 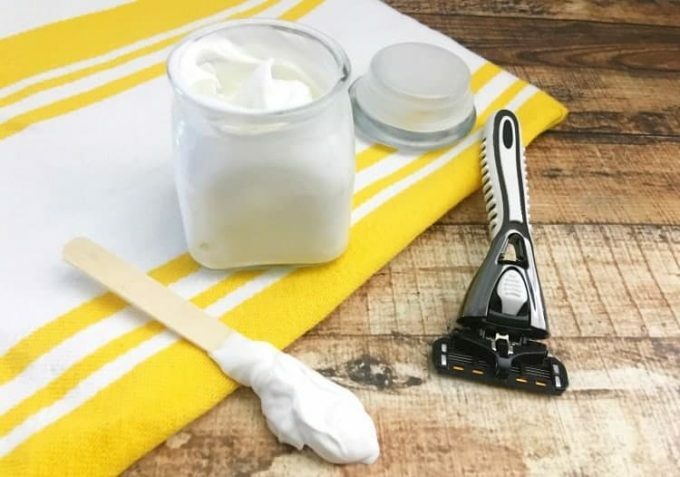 This Soothing Chamomile DIY Shaving Cream sounds absolutely wonderful, and this Smooth Hippy Shaving Cream has tons of different herbal options. Then there is aftershave, and this Nourishing After Shave Balm is made with soothing sunflower infused oil. This DIY Peppermint Tea Tree Aftershave sounds refreshing, as does this DIY Bay Rum After Shave. There are some great handmade soap recipes out there, but not many are geared towards men. 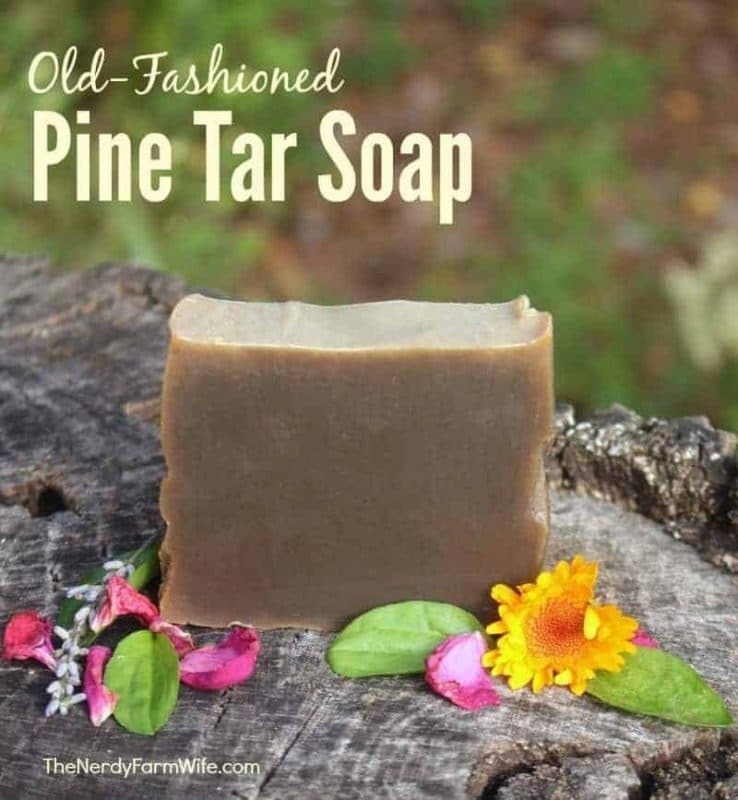 I love the sound of this Pine Tar Soap Recipe, and apparently men love it! It comes from Jan Berry of The Nerdy Farm Wife, who also wrote the amazing Natural Soapmaking eBook that I love. I have a post about how to make Rosemary Mint Shampoo Bars (also Jan Berry’s recipe) that are wonderful. This Homemade All Natural Deodorant for Men is a great natural alternative to regular deodorant, which often has a lot of nasty chemicals. I love homemade salves, and my all purpose healing Herbal Salve works well for everyone, men included! This DIY Cracked Foot & Heel Salve sounds great for dry feet (and hands), as does this Herb Infused Hand Lotion for Working Hands. 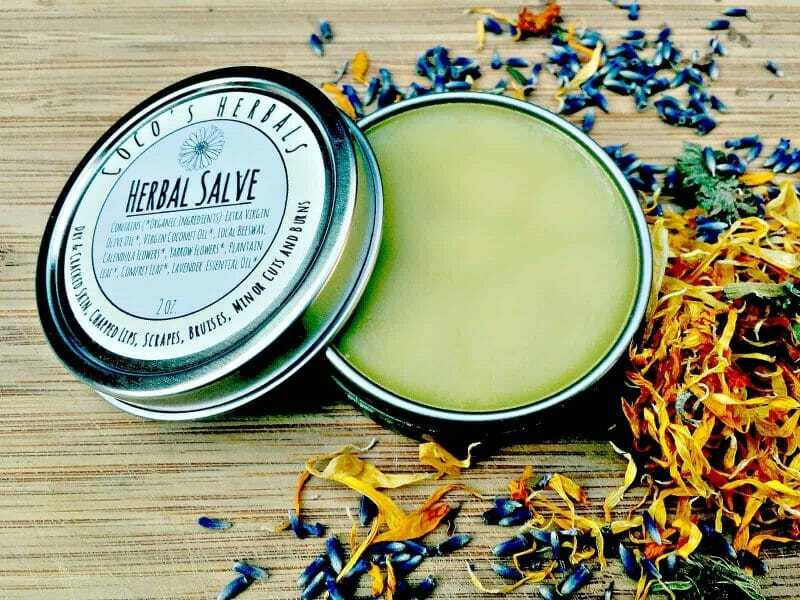 This Warming Ginger Cayenne Salve with arnica would be great for sore muscles, and this Drawing Salve is perfect for getting out splinters. These Herbal Intensive Lotion Bars are one of my favorites, great for dry and calloused hands and feet. I have two DIY herbal cologne recipes to share with you. The first one is this Woodsy Essential Oil Cologne Blend for Men, and the second is DIY Natural Men’s Cologne. I don’t know about you, but I’d much rather smell a nice natural piney scent on my man than any of the gross and overwhelming colognes on the market. Whew, and that’s it! 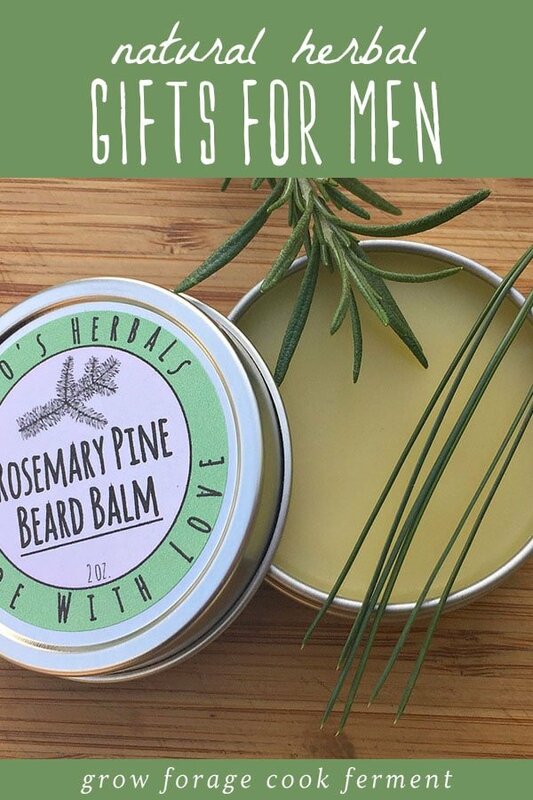 There is a lot of inspiration for you for either some homemade or handmade herbal gifts for men that you can make yourself or buy from some great small businesses! Hope you like them, and let me know if you know of any other great herbal product ideas for men.